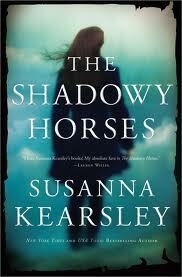 Today is the US rerelease of The Shadowy Horses, one of my favourite Susanna Kearsley novels (you can read Ana, Kelly and my thoughts on this book here). 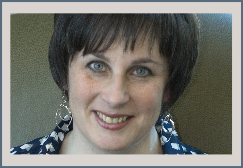 In honour of that, Susanna Kearsley is here to tell us a little bit about Robbie, one of the characters in that book. He also happens to be the main character in her next book, The Firebird, which is out next year and I am beyond thrilled to have an exclusive excerpt for us to see a grown up Robbie! My love of archaeology was born the summer when the archaeologists first came to our small town to excavate the site that once had been an Iroquoian village. I was only a child, but the dig held me mesmerized. Watching the dig team at work, so meticulous; seeing the village take shape from the field as new posts were set into old postholes to reconstruct long-fallen palisades and a few longhouses—it was like watching the veil between present and past torn away, shining light on a time that was no longer hidden, but there to be seen. To be touched. I felt something of that childlike fascination in my twenties, when I came across the book The Alexandria Project by Stephen Schwartz, the story of a research team that went to Egypt with the aim of trying to find Alexander the Great’s tomb and other ancient sites that had been “lost to history”, by making “rigorously controlled” scientific use of psychics and remote viewing (“seeing” things that are “inaccessible to normal senses due to distance, time, or shielding”). I was particularly struck by the account of how Canadian psychic (and I use the word apologetically, because he disliked being called that) George McMullen was able to provide Schwartz with amazingly accurate and verifiable information simply by walking over an area. When I discovered that McMullen had also done pioneering work with Canadian archaeologist Dr. J. Norman Emerson on Iroquoian sites in my own province of Ontario, I was even more intrigued. Further research led me to other psychics like Stefan Ossowiecki, who earlier in the 20th century had been able to confirm archaeological data by psychometry—the ability to know things about an object by holding it—and remote viewing, until his tragic death at the hands of the Nazis in 1944. This “intuitive archaeology”, as Dr. Emerson called it, was a whole different field than I’d ever encountered, and the more I read about it, the more I knew I wanted to write about it. That’s how Robbie, the eight-year-old psychic who sets things in play in The Shadowy Horses, first came into being. The fact that he came into the book as a boy, not a man like the men who inspired his character, probably has at least something to do with my own childhood memories of watching that long-ago dig, and my sense of the past as a thing that was tangible. Robbie screwed his eyes up while he gave the matter thought. A few minutes later, as Wally Tyler’s spade attacked the toughened sod, my shoulders lifted in a little sigh. Such a pity, I thought, that Quinnell would be disappointed. It didn’t seem fair. No one can really be psychic, I reminded myself firmly. But Robbie only smiled as though I’d told him something funny, and went bouncing off to throw his stick for Kip. Apparently I wasn’t the only person who loved Robbie. 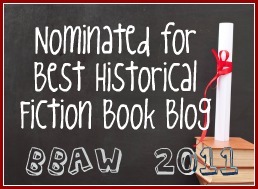 A few years ago one of my readers wrote to ask me whether I’d ever considered giving Robbie his own book, and after giving it some thought I saw how Robbie would make the perfect hero for the story that was starting then to form in my imagination. I’d never done that with a character—let him age from a boy in one book to a man in another—but Robbie came into the new book, The Firebird (which will be out next spring) with all of the characteristics that made me so fond of him when I first “met” him, and it was a pleasure to write him again. And so here, exclusively for readers of Historical Tapestry, is a first look at Robbie McMorran some twenty years after the time of The Shadowy Horses, as seen through the eyes of my heroine, who herself has the ability to “see” the past, though not as well as Robbie. By the time I got my own door open he was there to hold it for me. Of all the men I’d ever dated, he remained the only one who’d ever done that. I turned to look at him, expecting that his blue eyes would be teasing, and instead found they were nonchalantly guarded, and a bit too unconcerned. And then, because I couldn’t hold his gaze, I looked away. There had been moments when I’d wondered whether Rob was seeing anyone, because it seemed a bit too unbelievable that after these two years he’d still be unattached, but when he’d come to Ypres with me I’d known without a doubt he wasn’t seeing anybody at the moment. He was far too much a gentleman to spend this kind of time with me alone, if he already had a girlfriend. He’d have counted it as being disrespectful to the both of us. He swung my door closed and walked round to lean against the bonnet, and although the sun was too high now to catch him in the eyes, he took the dark sunglasses from his pocket, put them on, and settled back to look more keenly at…well, at whatever he was looking at. I couldn’t tell, from watching him, if he was seeing things as they were now or as they had been, but I had the sense that he was standing with one foot in each reality, a bridge between the present and the past. I had no doubt, having seen him work, that he could have found one of those, if he had set his mind to it. But clearly he had settled on a plan. I gave it my best shot. Thank you for letting me share this. I hope you’ll love Robbie as well, when you meet him. LOVED The Shadowy Horses. I didn't know Robbie was going to show up again in another Kearsley book! Thanks so much for featuring this excerpt. I was very excited when I saw that Robbie was going to feature in the new book! As always, it's wonderful news when a Susanna Kearsley book is released (or re-released). I've loved all of your novels and I am so looking forward to meeting up with an adult version of Robbie in The Firebird. Thank you so much for the little preview! Joanne, it isn't that long until the new book, but it certainly still feels like a long wait! We just have to be patient apparently! 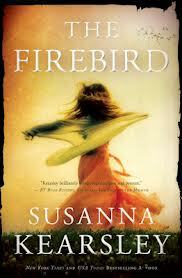 I love Susanna Kearsleys books. I thought I had read that one before but will now have to go and look. Don't want to miss one. I know exactly what you mean! Don't want to have missed any! Fabulous guest post. The Shadowy Horses is my favourite of Kearsley's novels so I'm very eager to read The Firebrand since Robbie will be the star. I've pre-ordered my copy of the book from the UK, since it will be available there at the end of January. I can't wait! Can't wait! Loved Roby. Thank you! Thank you for posting this. I, too, love Susanna Kearsley's books. Each time I finish one, I'm convinced "that" one is my favourite!!! Love them all.